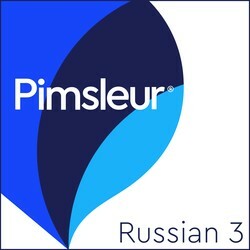 Builds upon skills taught in Pimsleur’s Russian Levels 1 and 2. In the next 10 lessons, your skills will demonstrate ever-increasing mastery of Russian. Speaking with grace and complete naturalness, you’ll enjoy fluid conversations on many new subjects. 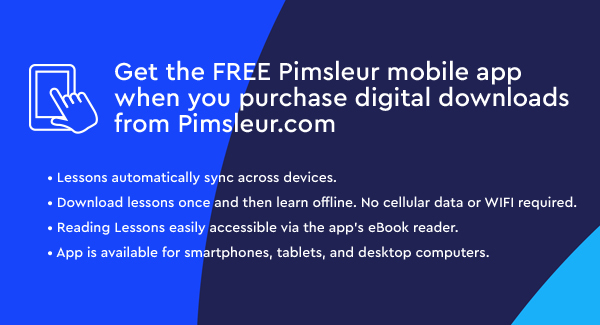 Delving deeper into cultural norms and situations, you’ll find yourself responding effortlessly, and able to choose from a wide accumulation of vocabulary and structures. In the final 10 lessons, you’re nearing fluency with agile responses, and a natural sounding, near-native accent. You’re able to utilize the language in subtle ways, and speak using past, present, and future tenses. Self-confidence soars as you no longer experience the language and culture as a foreigner, but as someone with a deepening insight into the Russian-speaking world. Reading Lessons are included at the end of Lesson 30. These lessons, which total about one hour, are designed to give you practice reading Russian, to provide vocabulary and improve pronunciation. Before you know it, you’ll be reading Russian with the ease and flexibility of a native speaker.